Out of all of the ways to get around, the Royal Carriage is by far the preferred method for Queen Elizabeth II and all of the Royal Family. Sure, they could travel to parliament in a regular old limousine, but instead, they still prefer the nobility that only a carriage can provide. With the Royal Wedding coming up on 19th May 2018, what better time than now to freshen up on our carriage history? Today we’ll look back at the first royal carriages, along with the changes we’ve seen over the years. People have used carriages, coaches, and chariots for thousands of years to move from one place to another. Since the invention of the wheel, these vehicles made everyday life easier. During the Iron Age, Celtic people used horse carts with an early type of suspension. Ancient Romans, Egyptians, and Chinese used wagons and chariots to transport goods and in warfare as well. 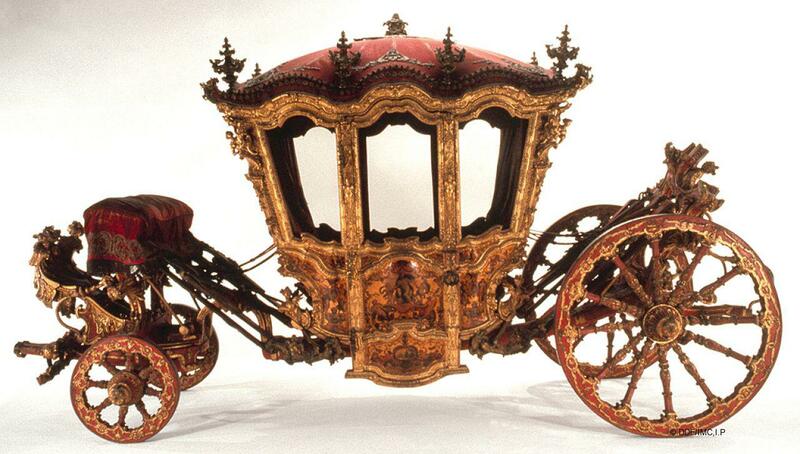 The first signs of carriages used for royalty came about during the Middle Ages. These carriages were suspended with leather or chains and were ornately decorated. Although they might have looked nice, they were incredibly heavy and slow. That’s when King Mathias Coribus of Hungary and Croatia decided he needed a faster way to travel throughout his kingdom during the 1400’s. He had the best wheelwrights construct a carriage that used steel-springs for suspension, resulting in a lighter and faster carriage that only needed a single horse to power it. This golden carriage is incredibly ornate and was the golden carriage of the Imperial Austrian Court in Vienna. This coach features the twelve zodiac symbols on the rear wheels for added touches of symbolic flair. It was used by foreign leaders on their visit to Portugal in the 19th century. This enclosed golden carriage is truly a work of art on wheels. It is pulled by eight horses and has been used for the coronation of every British monarch since George IV. Because it is heavy, large, and not very manoeuvrable, it is only used for grand state occasions. 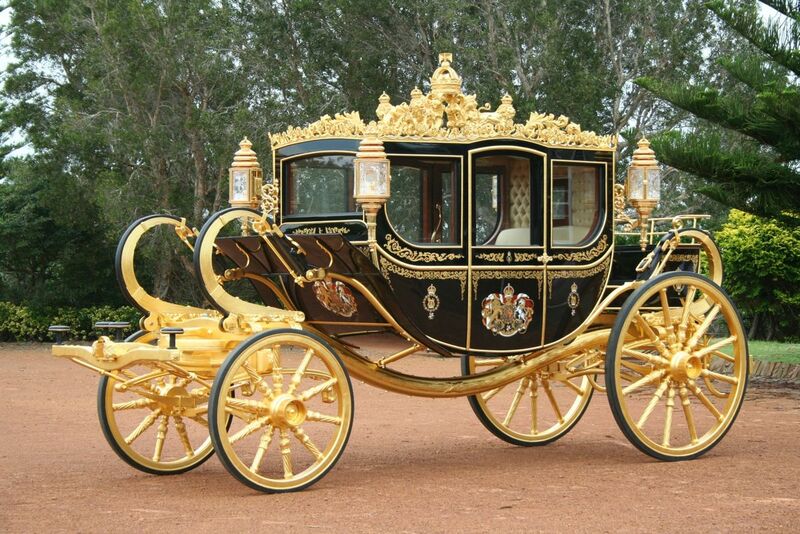 Queen Elizabeth II uses this coach on a regular basis during her visits to parliament. It is practically a museum on wheels full of rich British history such as pieces of royal warships from Henry VIII and Lord Nelson. To top it off, there is even a piece of the Stone of Destiny underneath the seats! In honour of Prince Harry and Meghan Markle’s upcoming Royal Wedding, we are offering a limited edition Royal Carriage model! This laser-cut wooden model kit features both Harry and Meghan sitting in a carriage modeled after the 1902 State Landau. If you want to remember the special day for years to come with your own model carriage fit for Royalty, pre-order yours today!